ParentsWeb is a private and secure portal for parents and students that provides academic information specific to each child, while protecting students and their family members' personal information. ParentsWeb gives busy parents an opportunity to be more involved in their child's academic progress and future success—all via the Internet! 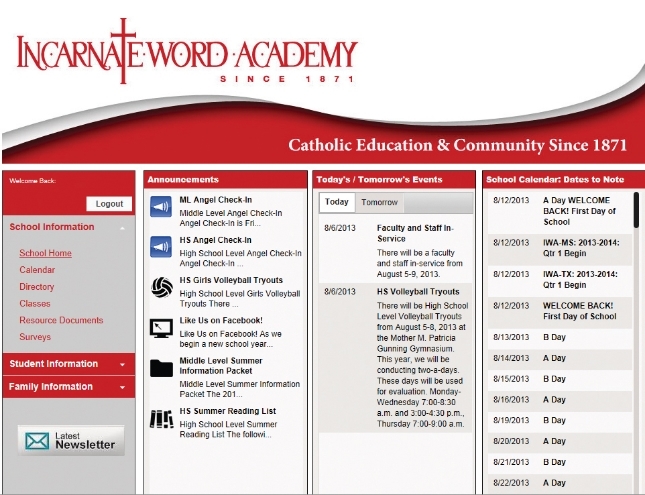 ParentsWeb is one more tool to help ensure that the partnership between Incarnate Word Academy and parents is successful. Together, we can continue to improve our children's academic development as well as communication at school and at home. 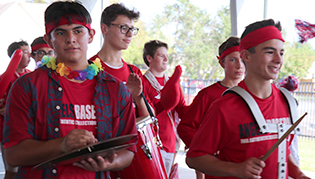 Need a copy of the latest E-Newsletter? A link to the most current e-newsletter is at the bottom of the navigation bar for easy access. Click the "Quick Links" drop-down field, located at the top right corner of this page. Select ParentsWeb. *The "Quick Links" drop-down menu can be found at the top of every page on the of the IWA website. Enter the email address that you submitted to the school office when you registered your child. 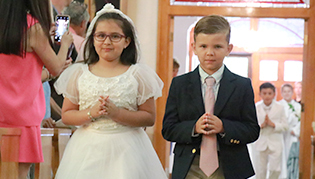 *If you have not provided Incarnate Word Academy with an email address, or you are not sure which email address IWA has on file, please contact your school secretary. You will receive an email containing password instructions within 3 minutes to the email address you entered (which must be the same email address that you provided to the school). Please check the email and click the link provided to gain access to a page where you can view/change your user name and change your password. For security purpose that link will only be active for 6 hours. Once you click the Save User Name and/or Password button, follow steps 1 through 3 listed above. A ParentsWeb login page will open. 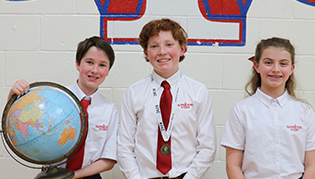 Click here to visit our ParentsWeb FAQs webpage. RenWeb Home provides always-logged-in instant access to ParentsWeb information along with the conveniences of a Smartphone App for an annual subscription of $4.99 per household.